Rubber Room Ramblings: STAMPIN' UP! WEEKLY DEALS ARE HERE! 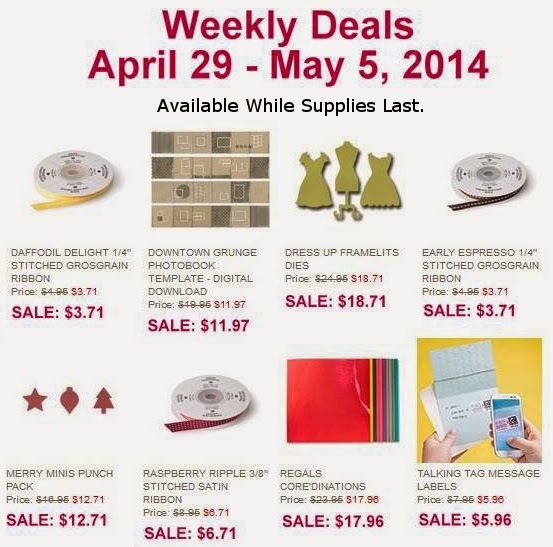 It is Tuesday, and that means new Weekly Deals from Stampin' Up! Here is what's on sale this week! Remember Weekly Deals are "While Supplies Last", and I can attest that things are going quickly! With the retirement list out, things are disappearing like hot cakes. Be sure to order early so you don't miss out.